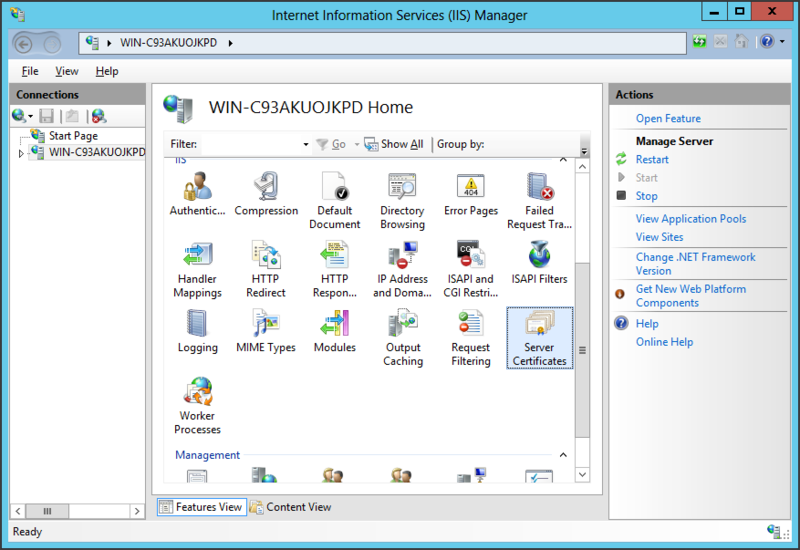 From the Start screen, click or search for Internet Information Services (IIS) Manager and open it. Click on the server name. 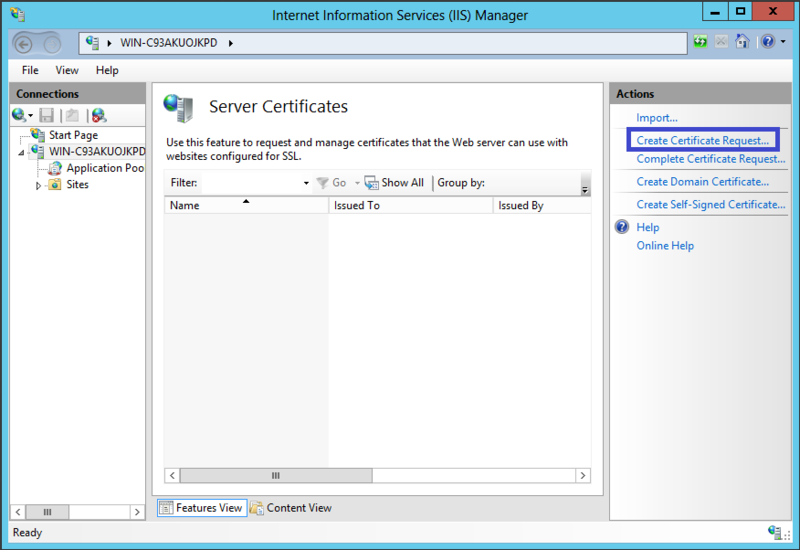 From the center menu, double-click the "Server Certificates" button in the "IIS" section (it is in the middle of the menu). 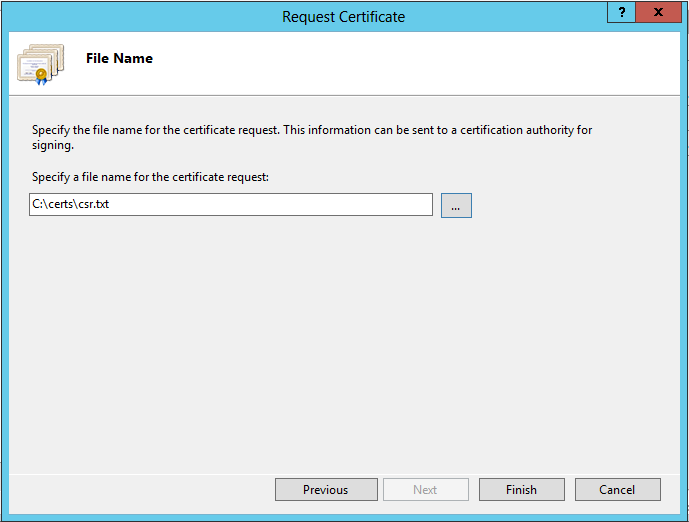 Next, from the "Actions" menu (on the right), click on "Create Certificate Request..." This will open the Request Certificate wizard. 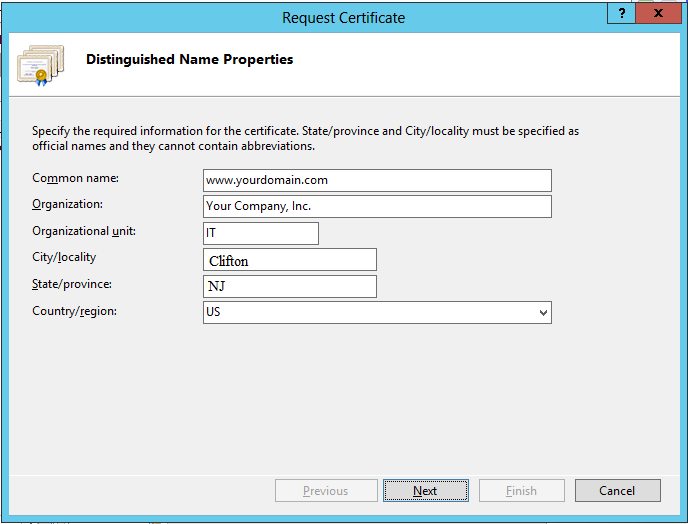 Common Name - The name through which the certificate will be accessed (usually the fully-qualified domain name, e.g., www.domain.com or mail.domain.com). Organization - The legally registered name of your organization/company. Organizational unit - The name of your department within the organization (frequently this entry will be listed as "IT," "Web Security," or is simply left blank). City/locality - The city in which your organization is located. Country/region - If needed, you can find your two-digit country code in our list. 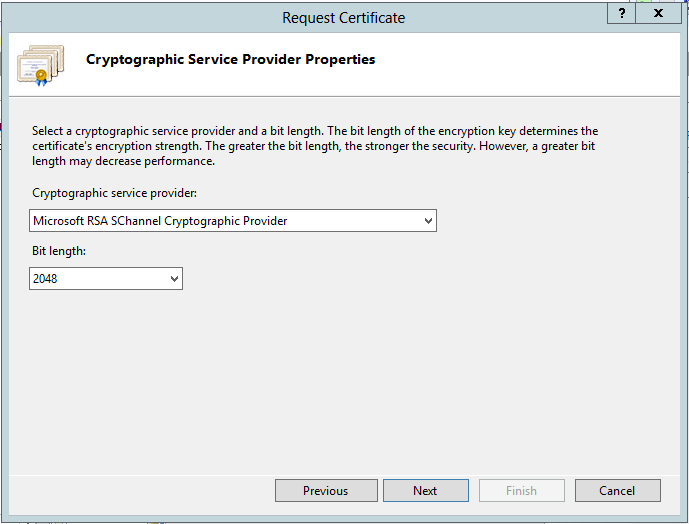 Cryptographic service provider - In the drop-down list, select Microsoft RSA SChannel..., unless you have a specific cryptographic provider. Bit length - In the drop-down list, select 2048 (or higher). Click the ... box to browse to a location where you want to save the CSR file. If you just enter a filename without browsing to a location, your CSR will end up in C:\Windows\System32.